Miss Global 2017 Brazilian Miss Barbara Vitorelli and Miss Global 2015 ranked 3rd Miss Geri Donchera from Bulgaria attended the event organized by Water Supply Co., Ltd. distributes gifts to children and handles cars to the organization through Lok Chumteav Vann Luy. Barbara Vitorelli said that she and the organizers of the Miss Global Organization with Hydro Purification Company have donated some to children. Live that organization. She said, “I am happy to see you, poor children, guardian pick up trash, and some do not have parents. To pity. Children have a long-term future and can change you to become a new human resource when you learn, educate, educate. The gift that the children received at the event were each 20,000 Riels, a book, a bottle of bottle of water, a bottle of ink, and a box of chickpea. Vann Leng, the head of the Royal Arctic Company, is happy to partner with the Miss Universe to visit Cambodian children. 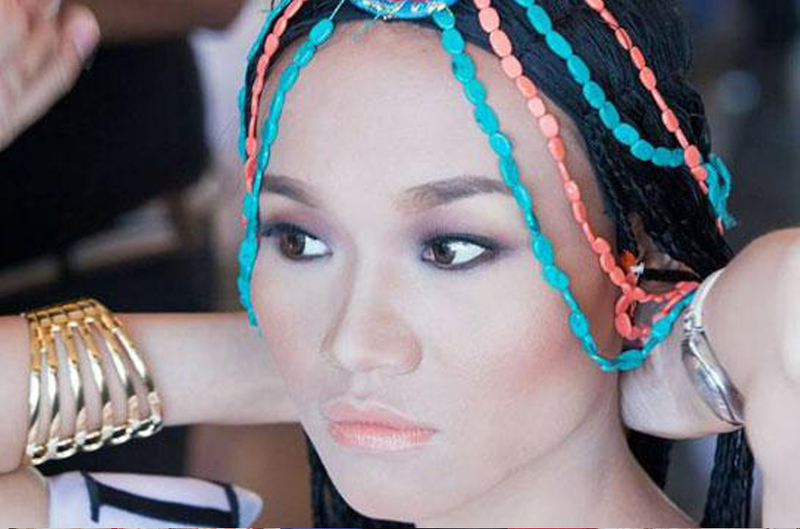 It is a pride that Cambodia is hosting the Miss Universe pageant, as part of the tourism industry. Noun Pheak, founder of People’s Improvement Organization, said most of the children were poor, some pick up trash, some with their mother or father working at Thailand. They are entitled to receive English language education and Khmer language through the Ministry of Education. The two women gave a gift to Mr. Vann Luy, who provided a car to transport 300 children from the center. Near Prey Chao to learn about Stung Meanchey. The children study at a total of 1,500 organizations by the School of Apparel, Food, and Educational Materials. Barbara Vitorelli of Brazil was crowned Miss Global 2017 on November 17, 2017, at the Koh Pich Performance Theater in Pnom Penh, Cambodia. She bested more than 50 women from all over the world and succeeded last year’s winner Angela Bonilla of Ecuador. Phnom Penh (FN), November 5 – Miss Global 2016 and other Miss Global Contestants 2017 from 65 countries will pay a visit to O’Raing Ov District, Tbong Khmom Province to launch an environmental protection campaign with Cambodian citizens prior to the Miss Globe 2017 contest. Eang Sophalleth, Under-Secretary of State of the Ministry of Environment said revealed such a plan at a press conference on the mission of the Miss Global on environmental protection, on Sunday at the Ministry of Environment. Eang Sophalleth said that the campaign is made to reflect on the collaboration between Cambodia and other 65 countries, sharing experiences from each other in solving environmental issues. The Miss Global event has planned to plant trees as a symbol that they come to Cambodia to help in environment protection. The tree planting will take place on Monday morning. When I shared the news with my friends and family that I was entering the Miss Global 2016 Beauty Pageant, they were all very excited for me. The people that know me best knew that I was in it to win it, and that I would be singularly focused on bringing home the crown; and because of my competitive spirit, they fully expected me to do so. As soon as I decided to enter, nothing mattered more to me than coming home with no less than the crown and the sash – for myself, for my loved ones, and for my country. During the pageant I had the opportunity to tour the Philippines. With my new friends, I visited exotic locations like Bohol Island, saw landmarks and monuments, and sampled various types of new cuisines. We also visited schools, including a special school for the deaf. Prior to visiting the school, we stopped at a toy store to get as many toys as we could afford for the children. The night before, I had been named second runner-up in the evening gown competition and was awarded 5000 Philippine Pesos – all of which I spent on toys. Upon arriving at the school for the deaf, the children seemed very excited to meet us. They were smiling and attempting to ask us questions in sign language. Fortunately, someone at the school taught me a few signs and I was happy to be able to communicate a few friendly greetings. Although learning some sign language was definitely a bonus for myself, the greater reward was being able to express my love, joy, and positive feelings to the children and to get those sentiments back from them. We were also honored by a special dance that the children had prepared to welcome us. In return, our pageant organizers brought a Christmas tree for the children, under which we placed all of the toys we had bought. When the happy children ran toward us to thank us for the presents, it was the best feeling in the world. At one of the other schools we visited, I was greeted by the children with heartwarming chants of “USA! USA! USA!”. It was a special moment for me as I met eyes with the children and saw their smiles as I blew them kisses. We even had a few fun and silly moments as we made funny faces back and forth. As I made this connection with the children I realized that this was what my pageant experience was all about. The children were not responding to superficial aspects of my appearance, they were responding to my personality and genuine kindness. This affected me deeply. My desire to win this pageant was initially fueled by the knowledge that the Miss Global organization had the resources to guide and support me in making the world a better place. During the pageant, I felt as if I had the entire nation of the Philippines rooting for me, not to mention my family, friends, and country back home. This put a tremendous amount of pressure on me and made me feel as if anything less than a title was complete failure. Hearing the encouraging cheers of people in the crowd that didn’t even know who I was, and remembering the faces of the children at the school, just added to my intense desire to win. When the moment came in which I was not placed in the top 20 contestants, I was obviously devastated. The disappointment was just too much for me. Staff members and other contestants encouraged me not to go back out on stage. It is at that point that I made the emotional decision to follow their advice. It seemed justified to me at the time, because many felt that the selection process had been unfair, but it is a decision that I came to regret. I regret it because the right thing to do, no matter the outcome, would have been to show support for the other women and to give a positive example of poise and strength. I know now that we all would have been better served if I had encouraged everyone to gracefully appear on stage and demonstrate to the crowd and to the judges that we were all worthy contestants. This is a lesson in grace and humility that I will never forget, and I know it will serve me well going forward. There are some contestants who are currently expressing negative views about the Miss Global organization because of the results of the pageant. I think that often in these types of events, it is natural to feel that after you put your heart and soul into your preparation, sacrificed so much, and invested time and money, the results seem unfair. We all need to remember that dozens of wonderful young women entered the contest, but only one can ever come away with the crown. That does not mean that the others were not worthy. What you take away from this type of experience depends on your frame of mind. This organization had many volunteers working to organize the pageant, make sure we were safe, and make sure we had everything we needed to look and feel our best. Many of these people worked long hours and very late into the night. Meanwhile, we got to have the experience of a lifetime, made wonderful friends, and we all grew together as women. This organization and all its volunteers deserve our love, support, and kindness. Now it’s up to each of us to move on individually and do our own part to make the world a better place. None of us need a crown or a sash to do that. When I was given the awesome privilege and responsibility of representing the United States at the global pageant in Manila, I explained in my sponsor letter that the winner of the pageant had a unique opportunity to contribute to the empowerment of women across the globe. To be chosen out of so many American women to represent our country was an honor that I will cherish as long as I live. What I learned from my pageant experience is that I don’t need a crown on my head to inspire the empowerment of women. I don’t need a sash to become a role model. As I continue my journey in life toward my goal of becoming a successful and financially independent entrepreneur, I know that the achievement of that goal will serve as an example for young women and girls everywhere. Regardless of the outcome, this pageant experience changed my life in a profound way. I was able to see another part of the world and experience another culture, I made new and lasting friendships, I learned valuable life lessons, and I even gained some fans and recognition along the way. I was able to reach many of my goals along the way, like seeing the world, growing as an individual, and having the courage to pursue my dreams. An objective of mine has been to have the courage to change my goals when I realize I want something else and to have the courage to pursue those new dreams. As my goals changed during this pageant, the experience allowed me to grow as a person and enjoy the unforgettable memories that resulted. When the pageant was over, I did not have the crown and I did not have the sash, but I am writing to tell you that I came away with something much more valuable. I learned lessons that I will carry with me for the rest of my life. I learned that a crown is just a piece of metal and a sash is just a piece of cloth. I learned that it was all about the journey and not the destination. It takes a lot of courage to put yourself on stage with a group of women to be judged by others. It takes hard work and dedication to practice and prepare. Along the way, I had the privilege to encounter many wonderful people, including others with similar values to mine, and similar drive, and similar dedication. What I gained in comradeship was more valuable than any title or any crown. Of all the women there, only one can take home the crown, but we can all grow stronger together. Ironically, I wonder if I would have learned these lessons if I did achieve my goal of winning the title. Perhaps in “defeat”, I gained more than I ever could have in victory. I’d like to sincerely thank the organizers, staff, and security personnel at Miss Global. I’d like to thank everyone that supported me from the makeup artists and hairstylists to my family and friends and especially my sponsors. There are so many things that occurred during this adventure, and so many thoughts in my head that are very difficult to put into writing. I tried to convey the most important aspects of the experience, which are the lessons that I learned about life and myself, the impact of my interaction with the children, and the new friendships that I gained. I still have so much more to say, so if any of you have any questions for me or would just like to know more about my experience, please feel free to contact me directly. Ecuador’s Angela Bonilla was named Miss Global 2016 at the pageant’s coronation night at the Philippine International Convention Center in Pasay City on Saturday. 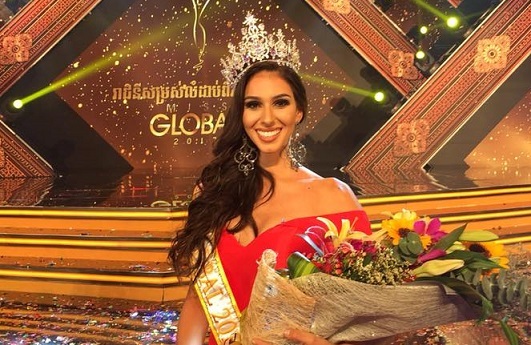 The 24-year-old beauty from San Miguel de Urcuquí, Imbabura beat 39 other country representatives to become the fourth Miss Global, succeeding Australian Jessica Peart. The Philippines’ Camille Hirro was first runner-up. At the event, Senator Manny Pacquiao, who was one of the judges, posed at the end with the winners and even helped out with Miss Iran’s magic trick beforehand. The Miss Global pageant was established in Los Angeles in 2013. The winners so far are Canadian Emily Kiss in 2013, her compatriot Ela Mino in 2014, Peart in 2015 and Bonilla this year. Miss Universe 2005 Natalie Glebova was one of the pageant’s hosts. 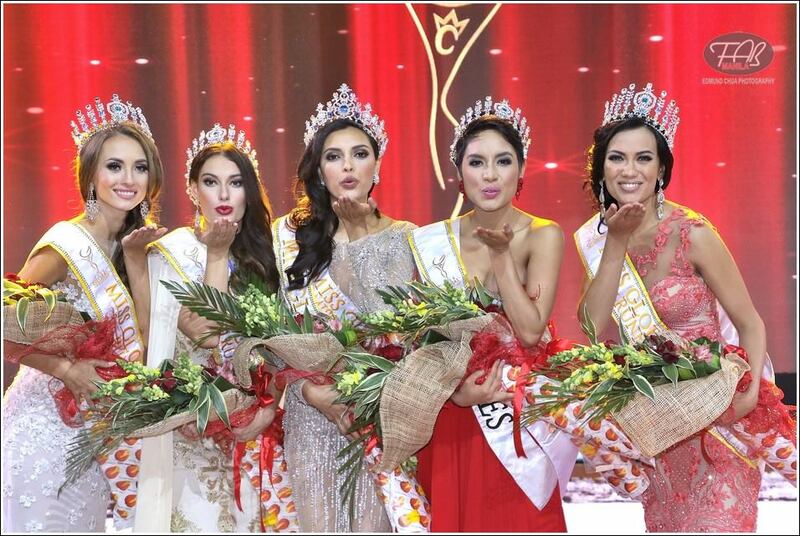 As correctly predicted by Missosology, Ecuador’s Angela Bonilla was crowned Miss Global 2016 at a glittering finale held Saturday, September 24 at the Philippine International Convention Center in Pasay City. The 24-year-old former Miss Earth Ecuador titleholder competed alongside 30 other candidates from all over the world. Host delegate Miss Philippines Camille Hirro finished first runner-up while Miss Australia Caitlyn Henry placed second runner-up. Missosology also correctly predicted the placements of these two ladies. I don’t know if all girls dream of becoming a beauty queen, but I did. Indeed, I dreamt and achieved it. My personal conception of a beauty queen, however, goes beyond just the requirement of a good physical appearance to become a role model for women in our society. So, when I was crowned Miss Tibet this year, I cried knowing my dreams had finally come true. But my dream didn’t end there; after winning the crown, I wanted to participate in an international beauty pageant as the representative of my nation, Tibet. Fortunately, one evening through Miss Tibet founder & director Lobsang Wangyal, I was invited to participate in the annual Miss Global competition in the Philippines. Since I was still a student I tried to figure out how I could afford the trip financially, wishing desperately for some sort of fairy godmother to help me. Of course, in real life you don’t get a fairy godmother magically popping up in your time of need. In my case, however, my fairy godmother took the form of a collective of big-hearted people who came together to fulfill my dreams. With the help of a generous group of sponsors– including my godparents, friends, sisters, aunty, the talented fashion designer Yash Vardhan, Tola Trailor and Run Away Fashion, the Tibetan Women’s Association (TWA), SGIG, Chokhor Tour and Travel, and of course Lobsang Wangyal– I was able to accept the invitation and compete in Miss Global International 2015. I am truly indebted and eternally grateful to each one of the individuals who made it all possible. I heaved a sigh of relief when my plane finally took off. I was well received at the airport and taken to the luxurious Azumi Hotel. I was interviewed about my journey and thoughts on the competition. I thanked the pageant organizations for granting me this opportunity and for including Tibet in the pageant. There were women from 50 different countries, including Native American US, some of which are not included in other international beauty pageants. Given the disputed political status of Tibet, I expressed how deeply honoured and grateful I felt to be representing my country as a Tibetan woman. In those fifteen days in Manila, I learned, experienced, and was exposed to things that I had never before thought possible. The entire time I was there I felt like I was living in a dream. That said, it was still a competition and, thus, strenuous; some girls even fell ill due to the intense schedule and lack of rest. Although it was a great challenge for all the participants, the obstacles we faced together fortified the bond between us; by the end, we became like sisters to one another. Like a great big family, we all worked tirelessly to put together our best performance on the finale night. Although many of the girls didn`t receive crowns or prizes, all that truly mattered in the end was the sisterhood we forged after tackling all those hurdles together. Meeting all these inspiring young women ultimately made me realize that, despite adversity, our dreams are truly possible if we move forward with confidence and determination. I’ll never forget the happiest moment during my time there; it was during the finale night, a truly grand affair, when I got to walk onstage and carry the Tibetan national flag down the runway in my beautiful chupa (traditional Tibetan dress). As I walked proudly down the runway with my people’s flag held high above my head, I was cheered and applauded by the audience, whose energy and enthusiasm gave me incredible pride and honor to be Tibetan. Though Lobsang Wangyal had advised me not to be too political, I couldn’t help it when the personal was so political. Filled with energy and joy, I even made a video montage of my fellow pageant contestants (including Miss China) boldly declaring, ‘I love Tibet’ to the camera. A major reason I wanted to participate in this international beauty pageant was to show the world that Tibet is a proud nation with a distinct cultures and unique traditions. I felt I had proved this particularly in the photo shoot where I got to wear my cultural dress, the chupa, which was incredibly rich and strongly stood out among all the various countries. My experience in the bikini round, however, was very different compared to most of the other girls in the pageant as it was the first time in my entire life that I had worn one (and had to walk around in it on stage). However, after seeing all the other girls walking with such confidence before me, I became assured that the bikini, the thought of which had made me so nervous all this time, was not the vulgar, shameful thing that I had been taught to believe. After that demystifying experience, I now strongly believe that if people can respect a woman in traditional attire, then they should learn to respect a woman in a bikini as well. One thing that was constantly on my mind was the significance of my participation for my country. Though it was a beauty pageant, I still tried my best to highlight issues facing Tibetans by discussing my experience growing up as a refugee to the girls and displaying the flag of Tibet whenever I had the opportunity. I truly believe that a beauty pageant can be as strong a form of creative resistance for Tibet as any other activity; whether by organizing a rally or through song and dance– the ultimate goal of all these things is the same: to show the world the distinct, sacred culture and history of Tibet. In my case, an international beauty pageant was my opportunity to share my people’s story and struggle as a nation with the world. Indeed, my very presence on that stage was a daring form of protest against the Chinese government. This bold challenge became clear when I realized that Beijing had felt so threatened by my participation in the beauty pageant that they sent men to follow me throughout my trip all the way from India to the Philippine capital of Manila. Fearing for my safety with these Chinese agents relentlessly stalking me at every leg of my journey, I ultimately had to be taken home at the airport in New Delhi by security. My sash– which has ‘Tibet’ boldly inscribed on it– bears incomparable importance to me and many others because it has truly come to symbolize the struggle and resistance of a nation in exile. Make no mistake about it– I am a feminist. As such, I am against those beauty pageants that only have a singular focus on physical beauty with a total disregard for moral and intellectual qualities. In my opinion, a beauty pageant is a double-edged sword; as long as you use it right, you can avoid causing harm. We have to make sure beauty pageants lace as much importance on a woman’s intelligence and moral values as on her physical attractiveness if we want to show the world that a woman is worth more than just her body.